Envision has been working with T. Clarke on the M&E design for the refurbishment of St. Andrews School, Hertfordshire. T Clarke PLC are a leading nationwide building services contractor. Envision has supported them with the refurbishment and upgrade of the heating system at St Andrews School, Hertfordshire. The project involved a detailed survey of the existing systems to enable stripout and replacement works to happen seamlessly. As part of the works, new heating plant and domestic water services were designed by Envision. 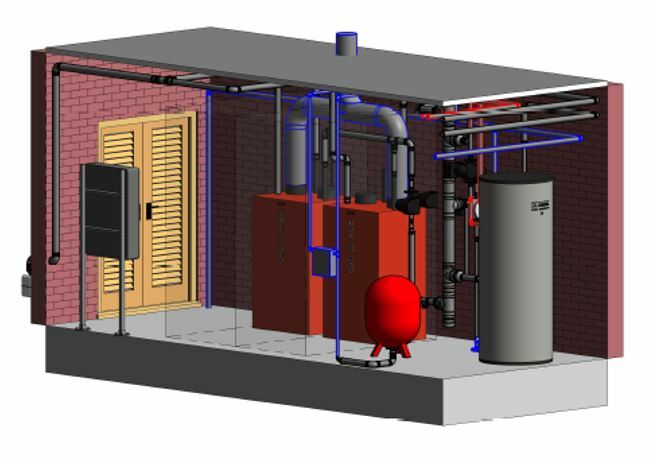 As part of the M&E design, Envision produced a Revit model for the plantroom to aide installation in the tight space constraints. This was built by Hayden Shipp without the benefit of an architect’s model which demonstrates our capabilities at 3D design. The replacement works are due to start in the coming weeks.